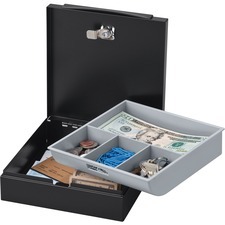 Safebox with privacy key lock and removable tray. 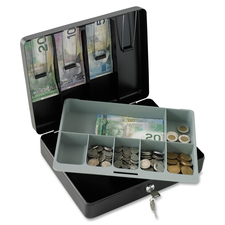 6 coin and 2 bill slots.Durable enamel finish.11-13/16"W x 9-1/4"D x 3-5/8"H.
Safebox with privacy key lock and removable tray. 6 coin slots.Durable enamel finish.9-27/32"W x 7-13/32"D x 3-1/4"H.